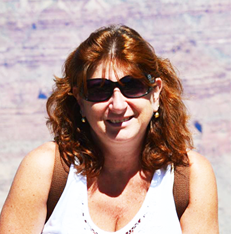 Possessing close to twenty-nine years experience in the insurance industry, Linda came to V.F. McNeil in 2007 from a supervisory position at Hilb Rogal And Hobbs after the agency relocated. Prior to spending eight years at HRH, Linda worked as a Large Lines Commercial Account Manager for Beardsley, Brown and Bassett in Bridgeport for seventeen years. During her career in commercial lines insurance and while raising her daughter, Linda continued her education by earning a Chartered Property Casualty Underwriters designation with a concentration in commercial insurance. This designation in conjunction with her prior certification has positioned Linda with a vast knowledge of commercial insurance coverages, risk management, regulations and the legal environment of insurance. Linda’s extensive knowledge of commercial insurance and ability to advocate and negotiate on behalf of her clients continues to show in her strong and lasting relationships. She has been a powerful resource to the agency and to her co-workers during training. Linda lives in North Haven, Connecticut with her husband David. Their daughter Dana recently graduated from Wagner College in Staten Island, New York and works as a Physicians Assistant. She enjoys scrapbooking, gardening, and travel. She loves to spend time with her family and her golden retriever Amber.